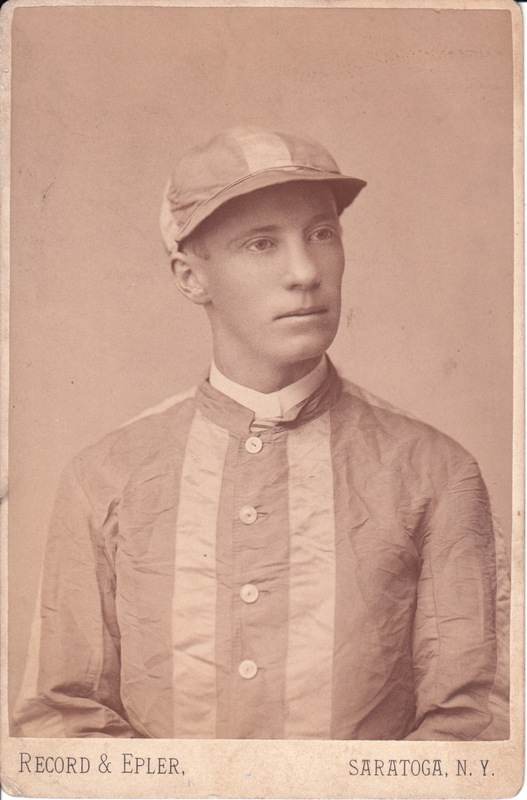 This cabinet card is a portrait of a horse racing jockey wearing his colors. The photograph was taken by the Record & Epler studio in Saratoga, New York. According to the printing on the reverse of the photograph, the studio was located on the corner of Broadway and Phila Street. 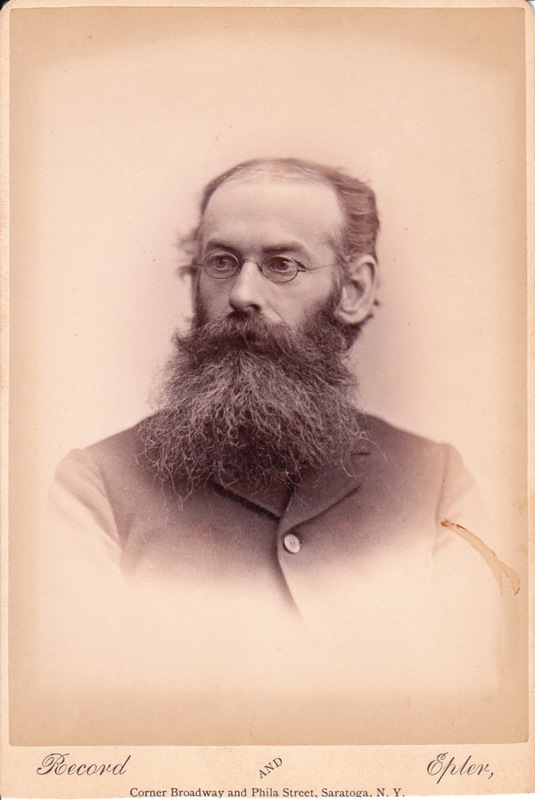 To view other photographs by this studio, click on category “Photogapher: Record & Epler”. Saratoga is a resort and horse racing town. The Saratoga Race Course is a Thoroughbred horse racing track in Saratoga Springs. The track opened in 1863.